THE BEST AT ELIMINATING YOUR PESTS! NOW OFFERING BED BUG HEAT TREATMENTS! Elite Pest Solutions, LLC is a locally owned and operated pest control company that offers a variety of solutions for your residential and commercial needs. Wisconsin licensed, certified and fully insured, we provide superior customer service and expertise at an affordable rate. Let us help you today. 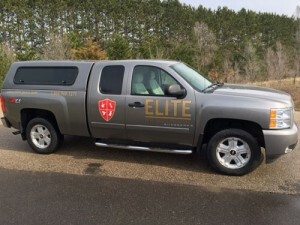 We understand that every client and situation is unique so whether you’re looking for a one time service, seasonal service or year round protection, Elite Pest Solutions, LLC will cater a plan that best suits your needs at an affordable rate. Combining Integrated Pest Management (IPM) solutions with up to date training, technology and equipment we have what it takes to keep your home or working environment pest free. So, if you’re looking for a fast, friendly pest management professional to get rid of pests safe and effectively, then the experts at Elite Pest Solutions, LLC is the right company for you. *New customers only, with purchase of a recurring service plan – cannot be combined with any other offers.